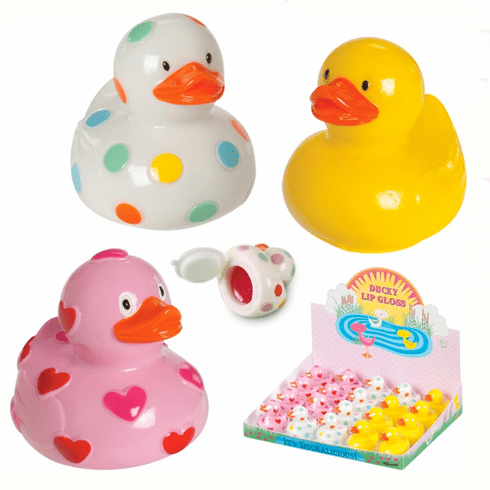 These cute little duckies are hiding a compartment of scented lip gloss underneath. They measure 2.75 inches long and come in three assorted colors and fragrances-flavors. Price is per ducky and styles are subject to availability.